With volcanoes, rainforests and rivers, and some of the rarest primates in the world, Rwanda has been blessed with its natural beauty. 'The land of 1000 hills' is set at altitude as lush green adorns its sweeping slopes before disappearing high into misty peaks. 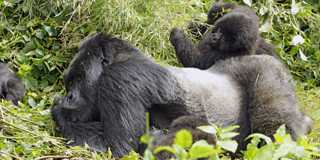 Amongst the steamy summits is Rwanda's biggest draw - gorillas. The bamboo forest of Parc National de Volcans has become a haven for the giant primates with over half of the world's mountain gorillas residing in the park. It's the experience of a lifetime for wildlife enthusiasts to trek and be among these graceful giants in their natural habitat. It's here that eminent anthropologist, Dian Fossey, chronicled 'Gorillas in the Mist' and it's the best place to see the creatures still thriving today. 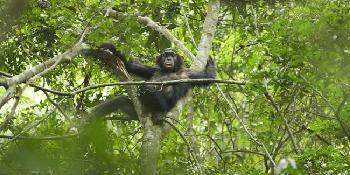 Rwanda also boasts one of the best preserved rainforests in Africa. Nyungwe Forest is home to several primates including chimps and endangered golden monkeys, with their orange hue and fur-puffed eyebrows. The rainforest has towering canopies of mahogany and ebony, but for adventurers wishing to get a little closer, the park offers a number of canopy walks, the highest of which is some 50 metres up. If your head for heights - and adventure - goes even higher, then a trek through the Virunga Volcano range might sate your appetite. Consisting of eight volcanic peaks (two of which remain active), even from base camp this hardy climb will offer fantastic vistas of Rwanda's natural beauty. 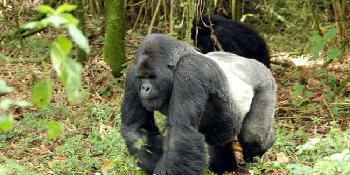 In the far northwest of Rwanda, the Parc des Volcans, home to the volcanoes, protects the steep slopes of the Virungas, a magnificent mountain range, and is home to the rare mountain gorilla. This safari takes you on a tour of Parc National de Volcans and experience a journey through the beautiful terraced hillside that characterises much of Rwanda's landscape. Climb the base of the awesome Virunga volcanoes.